A radical reconsideration of how we develop the qualities that make us human, based on decades of cutting-edge experimental work by the former director of the Max Planck Institute for Evolutionary Anthropology. Virtually all theories of how humans have become such a distinctive species focus on evolution. 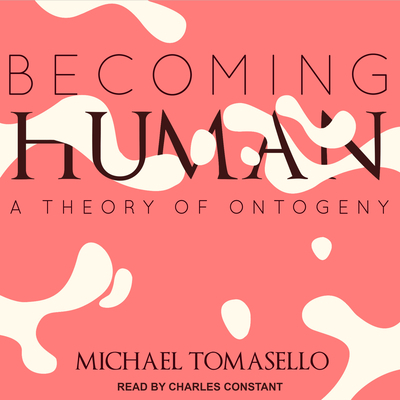 Here, Michael Tomasello proposes a complementary theory of human uniqueness, focused on development. Building on the seminal ideas of Vygotsky, his data-driven model explains how those things that make us most human are constructed during the first years of a child's life. Tomasello assembles nearly three decades of experimental work with chimpanzees, bonobos, and human children to propose a new framework for psychological growth between birth and seven years of age. He identifies eight pathways that starkly differentiate humans from their closest primate relatives: social cognition, communication, cultural learning, cooperative thinking, collaboration, prosociality, social norms, and moral identity. Becoming Human places human sociocultural activity within the framework of modern evolutionary theory, and shows how biology creates the conditions under which culture does its work.